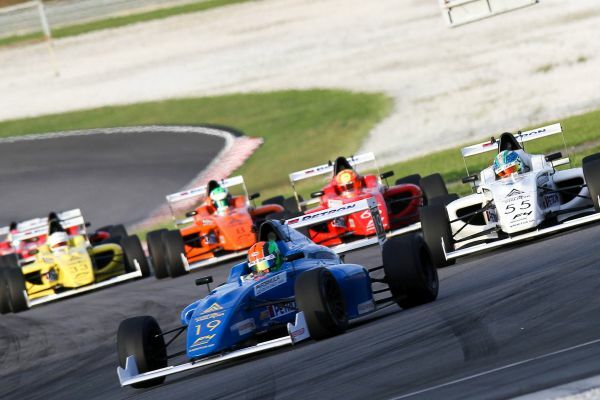 The second FIA Formula 4 Southeast Asia Championship flags off tomorrow with two Malaysians among the drivers looking to take their first steps into the big league. Nazim Azman and Isyraf Danial Mohd Ghazali are among the 13 drivers who will compete in the opening round of the season which supports the Malaysian Formula One Grand Prix at Sepang International Circuit (SIC). Other drivers who have confirmed their places are Eshan Pieris (Sri Lanka), Perdana Minang (Indonesia), Danial Frost (Singapore), Luke Thompson (Ireland), Daniel Cao (China), Khalid Al Wahaibi (Oman), Shivin Sirinarinthon (Thailand), Tyson Sy (Philippines), Kane Shepherd (Thailand), Nayan Chatterjee (India) and Harrison (Britain). Designed to be a globally recognised yet affordable step from karting to F1, FIA Formula 4 allows drivers to compare themselves to the best young talent not only in their own country but across other championships around the world. Most importantly, F4 SEA drivers begin to collect their FIA Super Licence points on this first FIA step to F1 in Asia. Proof of F4’s success — Lance Stroll the first FIA F4 champion in 2014 joined Williams F1 team’s driver line up this year. The 18-year-old Canadian has already collected 28 points and is placed 12th in the Driver Standings going into this weekend’s Malaysian F1 race. Peter Thompson, Chairman, Asian Autosport Action Group said: “Being a F1 support race will enhance youth brand enthusiasm for formula car racing in the region. F1’s motorsport managing director Ross Brawn welcomed the inclusion of the Championship for this weekend’s Malaysian GP. “We are thrilled the Malaysian Grand Prix will now host the F4 SEA Championship’s first event of the 2017-18 season,” said Brawn. “It is important a Formula 1 Grand Prix can offer not only a great show in terms of racing but also can attract the interest of the younger generations and make them closer to motor sport grass roots. Following this weekend’s races, the Formula 4 season moves to Clark International Speedway in the Philippines (Oct 20-22), Sentul International Circuit in Indonesia (Nov 24-26), Buriram International Circuit in Thailand (Jan 12-14) and the finale back in Sepang (Feb 9-11). There will be six races in each round with each event doubling up as a F4 national championship. The FIA F4 SEA event champion points are calculated on lowest score with first place earning one point, second two and so on. 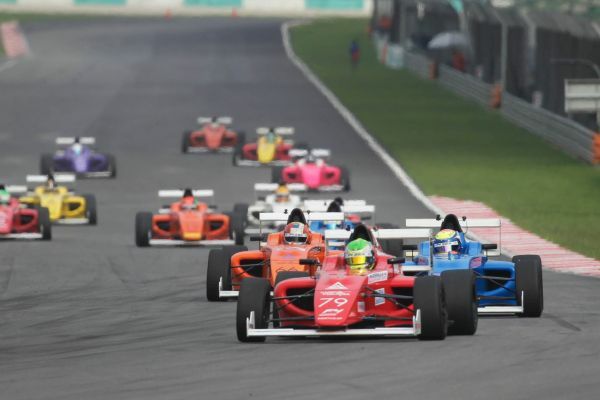 The second FIA Formula 4 Southeast Asia Championship flags off tomorrow (Sept 29) with the opening race of the season scheduled for 5.30pm at Sepang International Circuit. F4 is one of the support events for the final Malaysian Formula One Grand Prix happening this weekend and there will be a total of six races.